SPORTS CHIROPRACTIC Media – To follow are events , teams and athletes we have or are currently providing Sports chiropractic services. AITUZ caters for many different sporting codes, corporate and sporting events that experience the benefits of having their teams and individuals performing at their optimum best. In todays fast pace action now society, whether a social participant or high performer or striving to make it in this professional sporting era, Preparation, Planning & Persistence is required to be the best and to maintain the ability to stay at the top of your game. AITUZ has designed a 5 step program to discover the ‘ Ultimate You ‘ Breaking down the barriers to you becoming all you believe in & keeping you in the game through the highs & lows of your journey. The key to your success lies within. AITUZ acknowledges that you are only as strong as your weakest point & if challenged, it can hinder your progress in achieving your ultimate goal or you can use those challengers as motivators & triggers to step up and meet them head on. AITUZ Assesses – Investigates & Treats the uniqueness of each individual to unleash their inner most potential with an unwavering trust in process. Discover your winning formula …. Make the call today ! 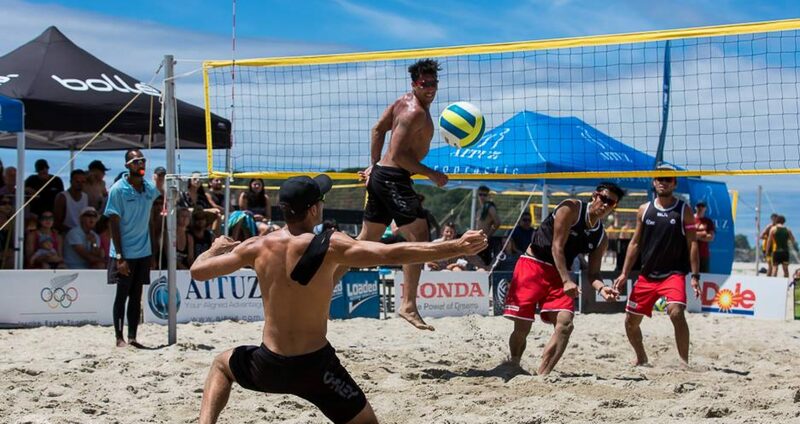 NZ Pro Beach Volleyball Tour - Mount Maunganui 2016. Delhi Commonwealth Games, India. - Cook Islands team celebrating at closing ceremony. AITUZ "An Aligned advantage "